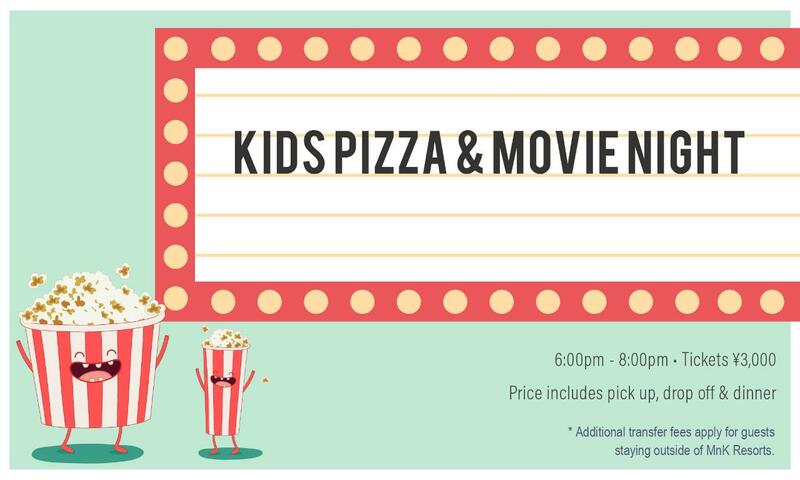 Parents, take the night off and leave your kids with our fun-loving EdVenture team to enjoy pizza, popcorn and a movie at The Orchards' movie theatre. Dinner will be served at 6:00pm and the movie will play at 6:30pm sharp. Our team is available to arrange transport to and from the event (additional charges apply for guests not staying with MnK). Pick up time is between 5:30pm and 5:50pm, and drop off time is between 8:00pm and 8:30pm. Tickets are strictly limited.